Just trying to fit new handbrake quadrants, however I think have made a bit of a boo-boo. I took the old ones off whilst the radius arms were off the car. I have since put the radius arms back on, without the quadrants. Now when I try and fit them, I cannot get the pin into the hole. It doesn't clear the subframe as I am trying to put it in. Do the radius arms need to come back off for the pin to go in? Clean the pins and holes in the arms, maybe use a small file? just undo the outer bracket should give enough space. 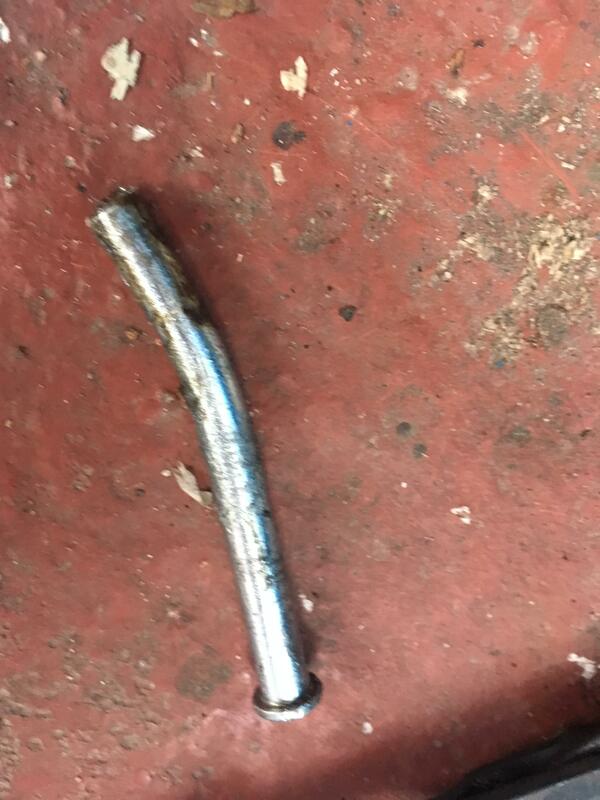 Are you fitting new brake hoses? 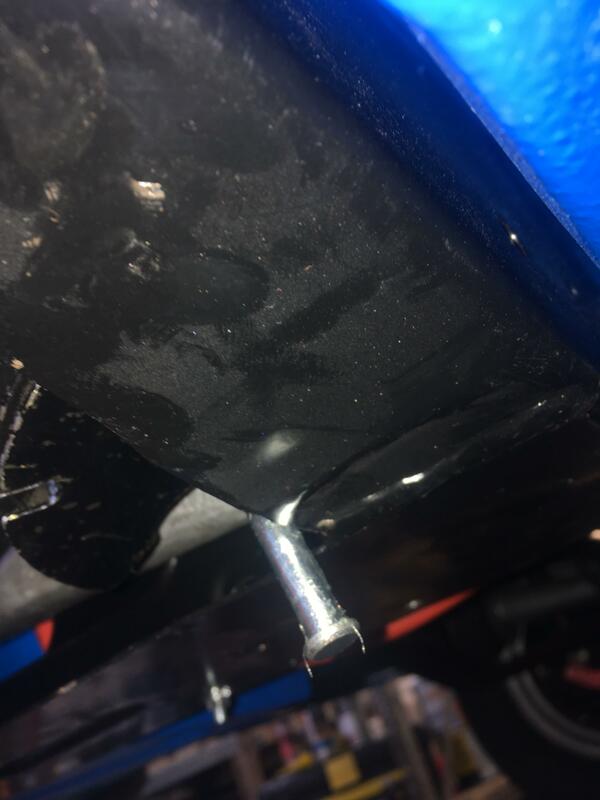 If so, use the plastic cap that comes on the end to protect the thread, to plug the hole that you are going to drill in the top of your radius arm, so that you can squirt in some old engine oil. Some of this will find its way out round the pin that you are trying to fit, and lubricate the quadrant. For a pucker job, tap the hole and screw in a spring washer and set screw. Ok so it become clear this morning that you can't fit the quadrants without removing the radius arm first. 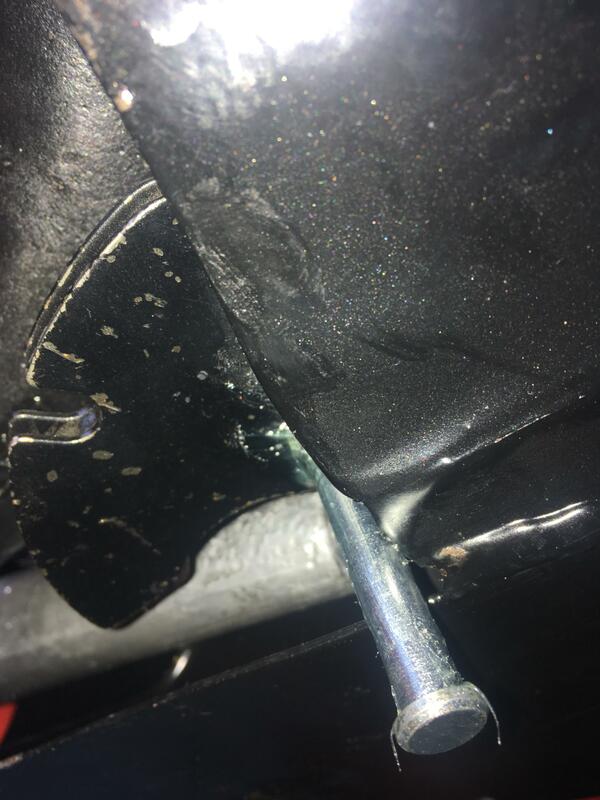 There simply isn't enough room for the pin to clear the subframe. All I have to show for a mornings work is a bent pin, brand new subframe scratched, and a sore back. To say I'm p*ssed off with myself is an understatement. "I have since put the radius arms back on, without the quadrants." I understand how you feel, and I am very sorry that you are pissed off; but, You didn't mention that you had also re fitted the suspension components. 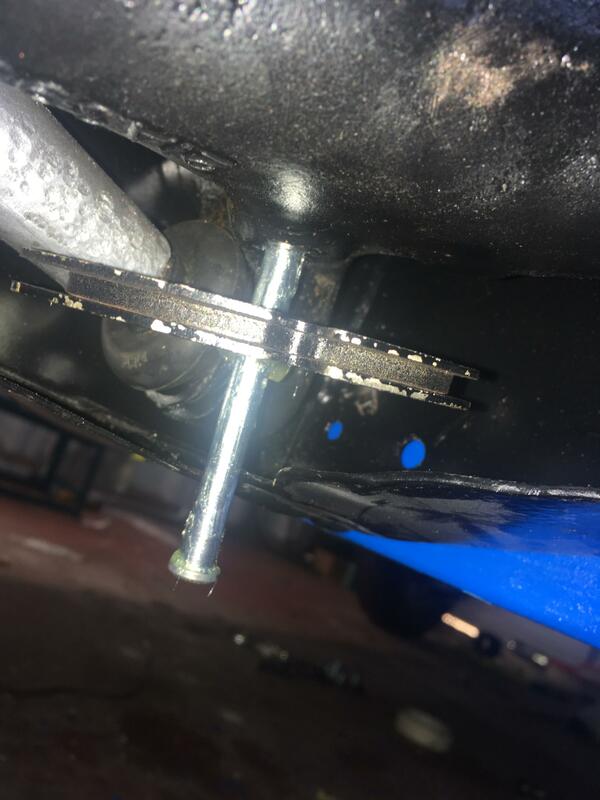 Without the suspension components fitted to the radius arm, with the inner nut on the shaft loosened and the the outer bracket removed, the radius arms do not have to come off for the pins to be inserted, just slid a little way along the shaft. The pin can be inserted in situ. A business next to the local branch of Henleys had a loading ramp, and I once joined several Henleys staff sat in, on and clinging to a Mini with one rear wheel backed up the ramp. With the suspension sufficiently compressed, the 5/16th" bolt was inserted. It’s my own stupid fault for not fitting it whilst everything was off the car. I removed the bracket but I couldn’t get the arm to slide out. I think the trumpet was still connected so holding it in place. I’ll have another go at that tomorrow. Just frustrating how such a small part can cause such an issue! Also the fact that I managed to slice my back open on my tool cabinet didn’t help my mood! Edited by pusb, 02 February 2019 - 05:51 PM. When you do refit the quadrants make sure they are the right way round.